BlackBerry 9000 to be offered minus 3G | BlackBerry Blast! 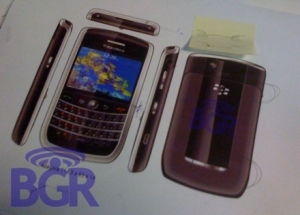 RIM will release a less expensive BlackBerry 9000 model that does not include 3G says BGR. The less expensive version of the upcoming BB 9000 will have some other changes like a "larger bezel around the front, and a whole different back case." In our view it does not make a lot of sense to release a new BlackBerry that does not support 3G, but it appears RIM wants to bring the price down.